Angela's restaurant is one of the two restaurants in the Bar-B-Barn hotel (the other one is the Bar-B-Barn restaurant). Angela's is located upstairs at the back of the hotel, overlooking the beach. 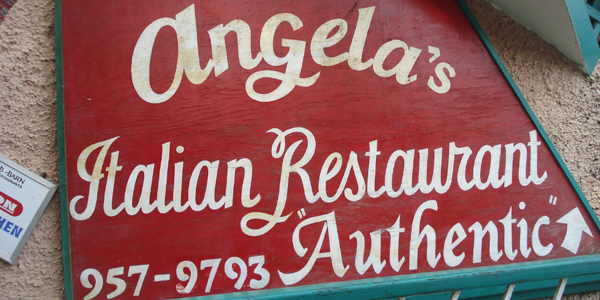 Angela's is the more upscale of the two Bar-B-Barn restaurants and specialises in Italian food. A wide range of Italian meals are served here but the restaurant is best known for pizza, from traditional Italian pizzas to pizzas topped with Jamaican inspired toppings such as jerk sausage and seafood toppings.